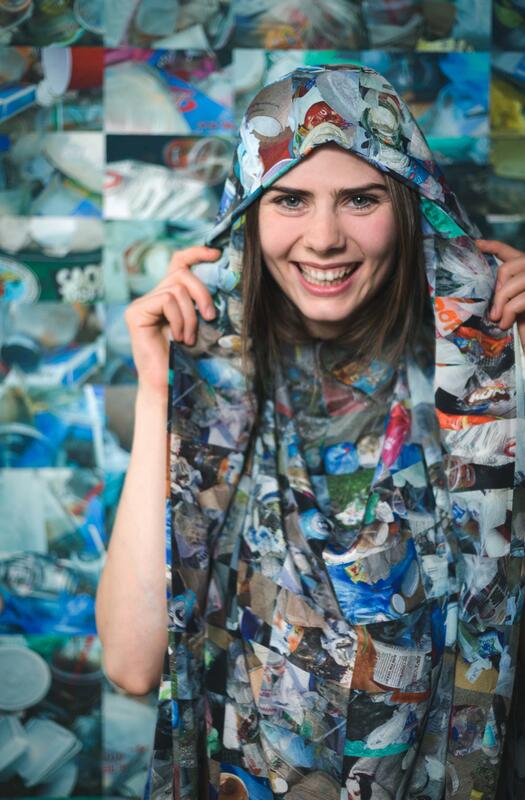 Covered in TRASH! 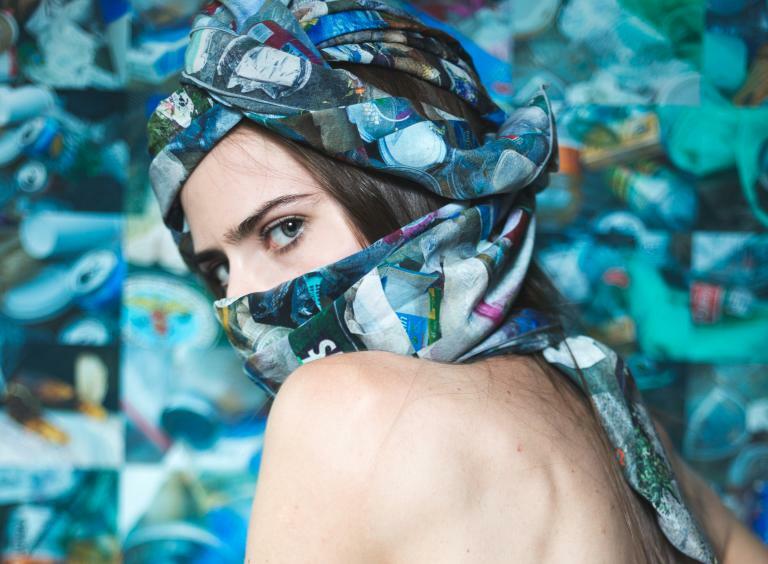 It was so much fun to watch photographer Fernando Paz take pictures of model Rozi Uhl wearing my TRASH design for silk scarves. 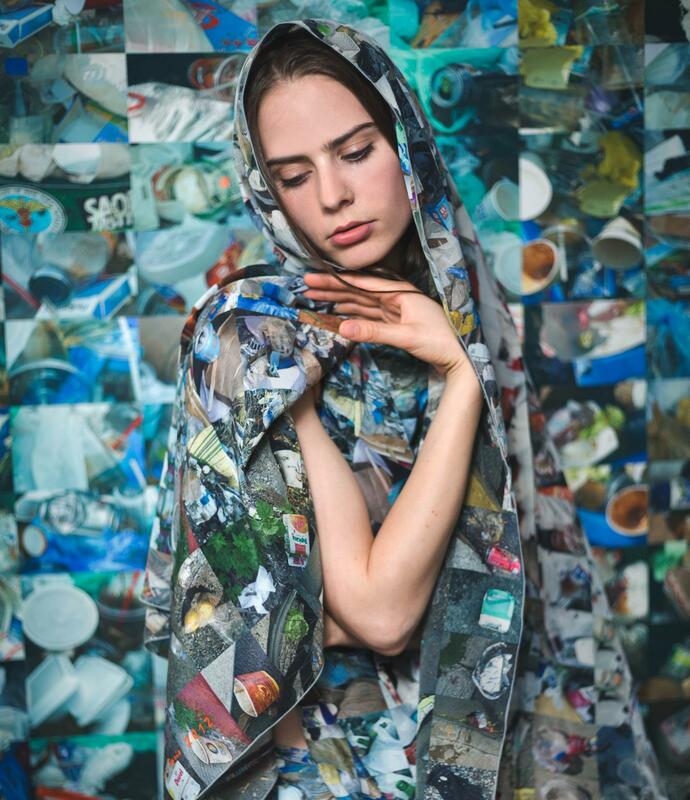 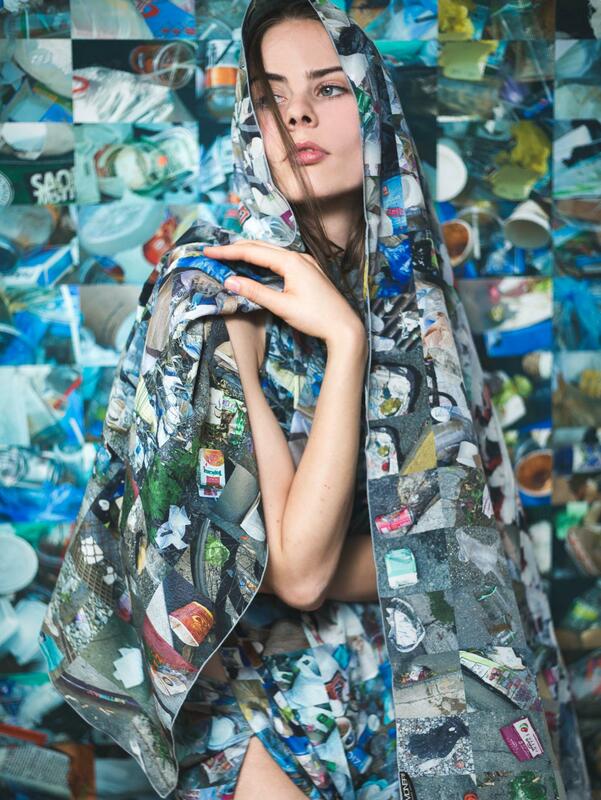 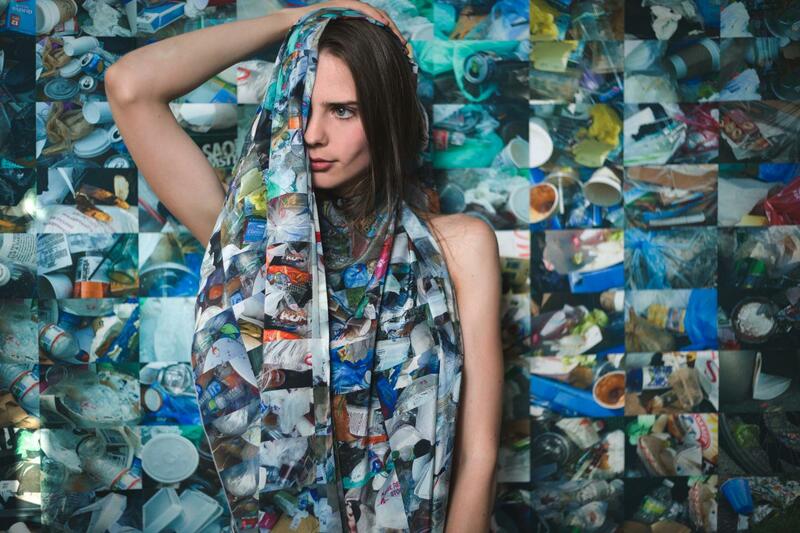 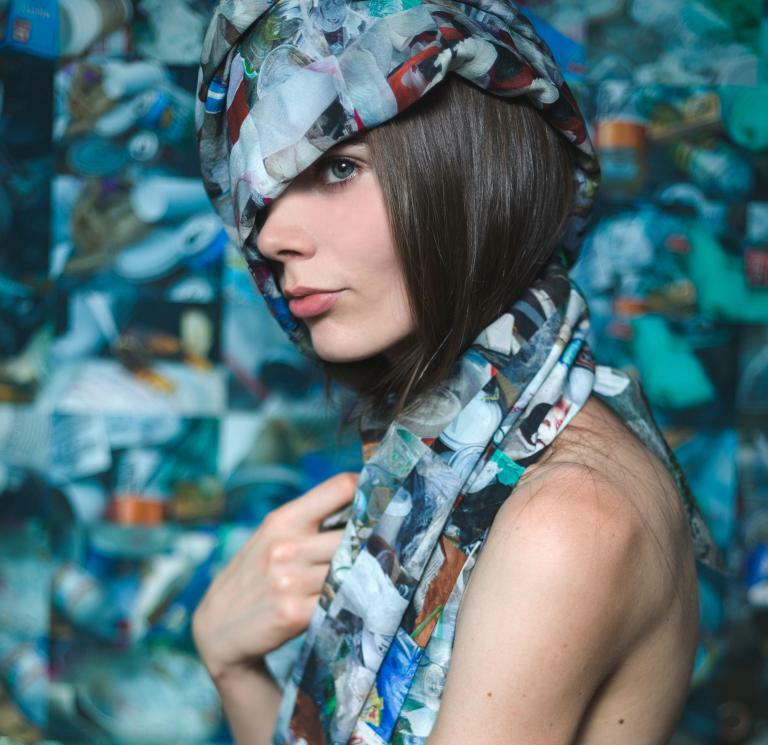 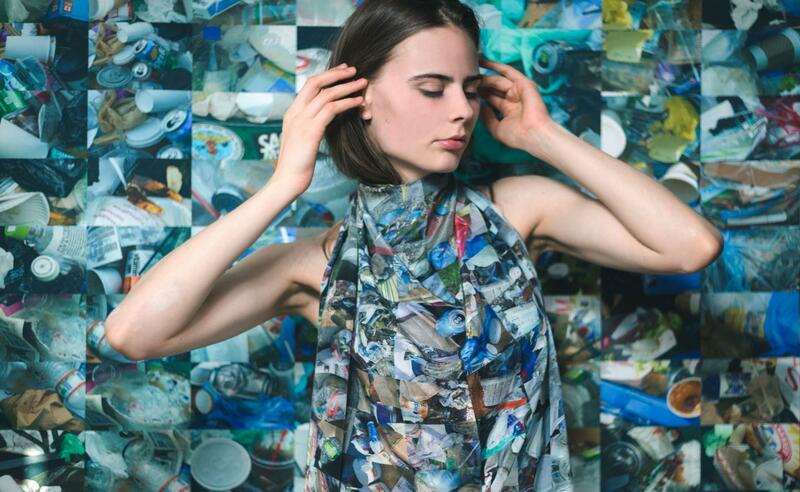 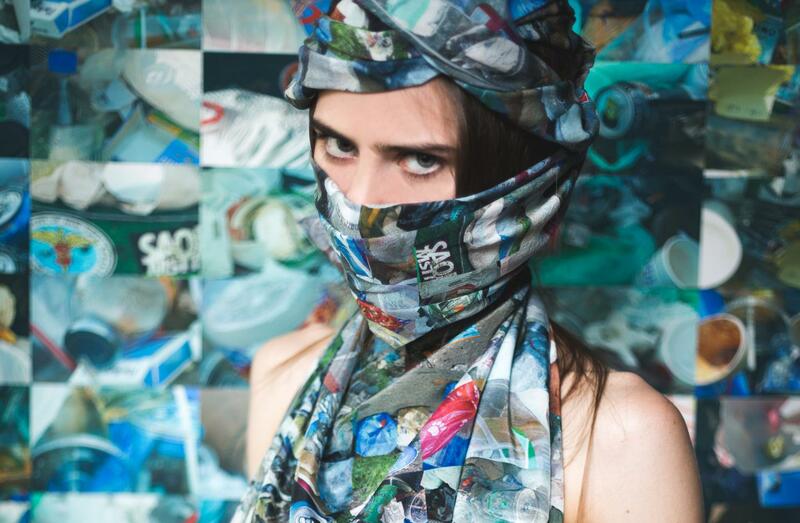 Another, irreverent form of recycling… Rozi Uhl is wearing a limited edition silk Trash scarf, and standing in front of a Trash wall hanging.